What conditions does Carvedilol treat? Tell your doctor right away if you have any serious side effects, including: very slow heartbeat, severe dizziness, fainting, unusual weakness, signs of kidney problems (such as change in the amount of urine), numbness/tingling of the hands/feet, blue fingers/toes, easy bruising/bleeding, mental/mood changes (such as confusion, depression), seizures. Although this medication may be used to treat heart failure, some people may rarely develop new or worsening symptoms of heart failure, especially at the start of carvedilol treatment. Tell your doctor right away if you develop any of these serious side effects: swelling of the hands/ankles/feet, severe tiredness, shortness of breath, unexplained/sudden weight gain. List Carvedilol side effects by likelihood and severity. 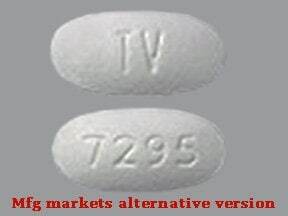 Before using this medication, tell your doctor or pharmacist your medical history, especially of: certain types of heartbeat/heart rhythm problems (such as slow/irregular heartbeat, sick sinus syndrome, second- or third-degree atrioventricular block), breathing problems (such as asthma, chronic bronchitis, emphysema), severe heart failure requiring hospitalization, liver disease, kidney disease, blood circulation problems (such as Raynaud's disease, peripheral vascular disease), serious allergic reactions including those needing treatment with epinephrine, overactive thyroid disease (hyperthyroidism), a certain type of tumor (pheochromocytoma), other heart problems (such as Prinzmetal's variant angina), a certain muscle disease (myasthenia gravis), certain eye problems (cataracts, glaucoma). This drug may make you dizzy or drowsy or cause you to faint. This is most likely to occur within 1 hour after taking your dose, especially when you start carvedilol treatment or any time your doctor increases your dose. During these periods, avoid driving and doing hazardous tasks. Do not drive, use machinery, or do anything that needs alertness until you can do it safely. Alcohol or marijuana can make you more dizzy or drowsy. Limit alcoholic beverages. Talk to your doctor if you are using marijuana. What should I know regarding pregnancy, nursing and administering Carvedilol to children or the elderly? Does Carvedilol interact with other medications? 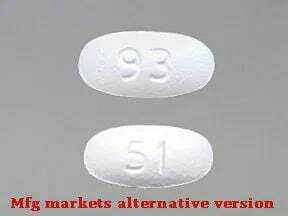 This medicine is a white, elliptical, tablet imprinted with "93" and "51". 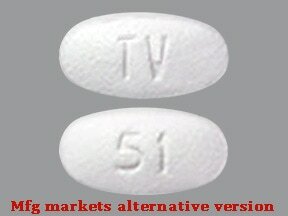 This medicine is a white, elliptical, film-coated, tablet imprinted with "TV" and "51". 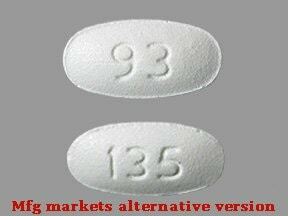 This medicine is a white, elliptical, film-coated, tablet imprinted with "93" and "135". 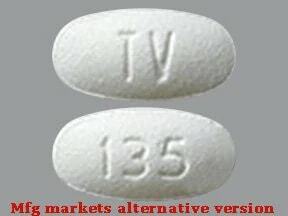 This medicine is a white, elliptical, film-coated, tablet imprinted with "TV" and "135". 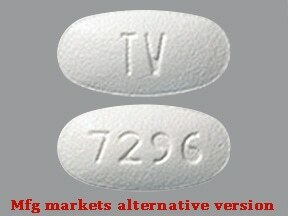 This medicine is a white, elliptical, tablet imprinted with "TV" and "7295". 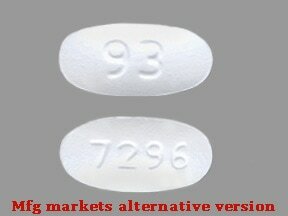 This medicine is a white, elliptical, film-coated, tablet imprinted with "93" and "7295". 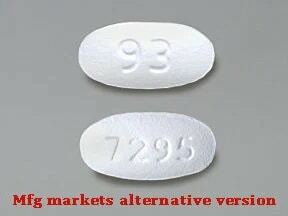 This medicine is a white, elliptical, film-coated, tablet imprinted with "93" and "7296". 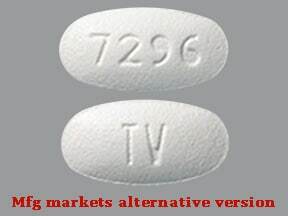 This medicine is a white, elliptical, film-coated, tablet imprinted with "TV" and "7296". 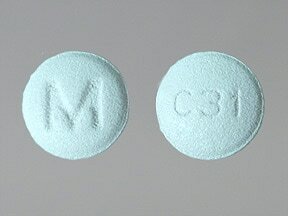 This medicine is a blue, round, film-coated, tablet imprinted with "M" and "C31". 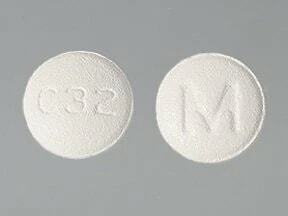 This medicine is a white, round, film-coated, tablet imprinted with "M" and "C32". 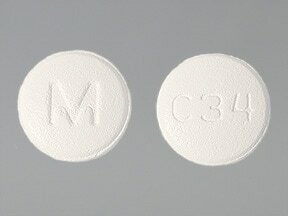 This medicine is a white, round, film-coated, tablet imprinted with "M" and "C34". 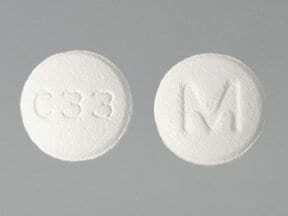 This medicine is a white, round, film-coated, tablet imprinted with "M" and "C33". 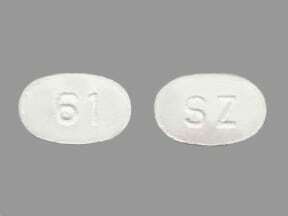 This medicine is a white, oval, film-coated, tablet imprinted with "SZ" and "61". 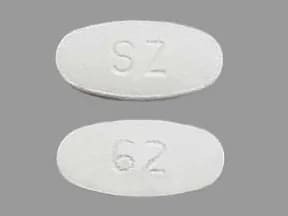 This medicine is a white, oval, film-coated, tablet imprinted with "SZ" and "62". 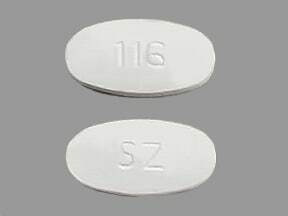 This medicine is a white, oval, film-coated, tablet imprinted with "SZ" and "116". 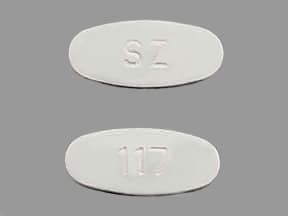 This medicine is a white, oval, film-coated, tablet imprinted with "SZ" and "117". 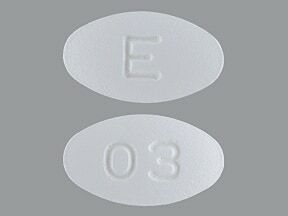 This medicine is a white, oval, film-coated, tablet imprinted with "E" and "03". 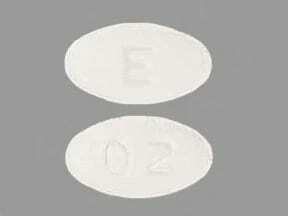 This medicine is a white, oval, film-coated, tablet imprinted with "E" and "02". 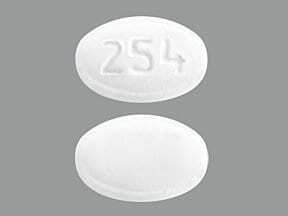 This medicine is a white, oval, film-coated, tablet imprinted with "254". 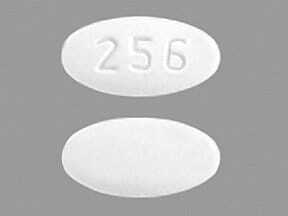 This medicine is a white, oval, film-coated, tablet imprinted with "256". 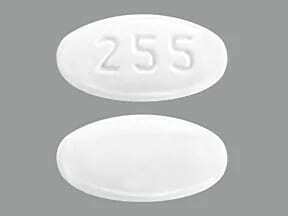 This medicine is a white, oval, film-coated, tablet imprinted with "255". 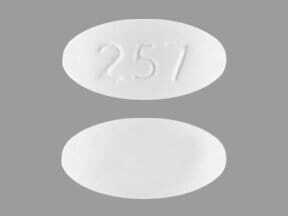 This medicine is a white, oval, film-coated, tablet imprinted with "257". 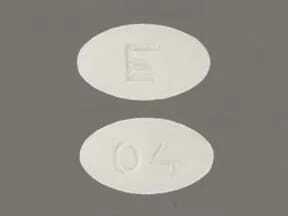 This medicine is a white, oval, film-coated, tablet imprinted with "E" and "04". 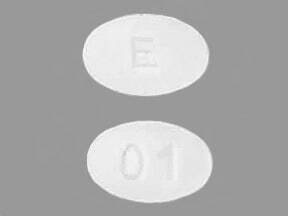 This medicine is a white, oval, film-coated, tablet imprinted with "E" and "01". 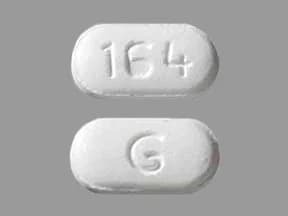 This medicine is a white, oblong, film-coated, tablet imprinted with "G" and "164". 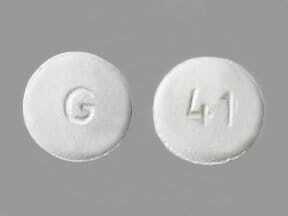 This medicine is a white, round, film-coated, tablet imprinted with "G" and "41". 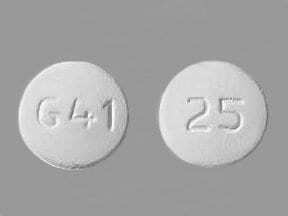 This medicine is a white, round, film-coated, tablet imprinted with "G41" and "25". 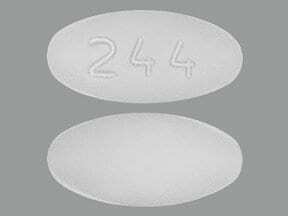 This medicine is a white, oval, film-coated, tablet imprinted with "242". 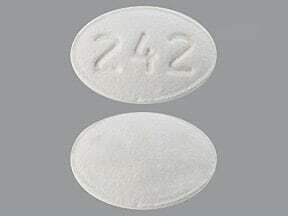 This medicine is a white, oval, film-coated, tablet imprinted with "244". 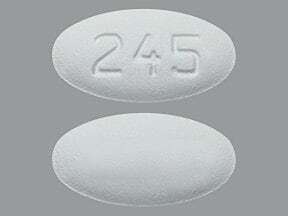 This medicine is a white, oval, film-coated, tablet imprinted with "245". This medicine is a white, oval, film-coated, tablet imprinted with "247". This medicine is a white, round, film-coated, tablet imprinted with "G". 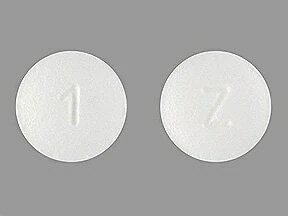 This medicine is a white, round, film-coated, tablet imprinted with "Z" and "1". 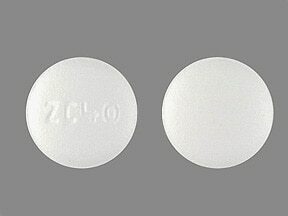 This medicine is a white, round, film-coated, tablet imprinted with "ZC40". 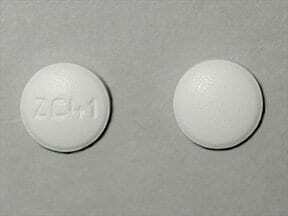 This medicine is a white, round, film-coated, tablet imprinted with "ZC41". 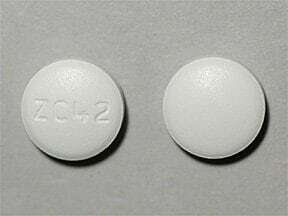 This medicine is a white, round, film-coated, tablet imprinted with "ZC42". 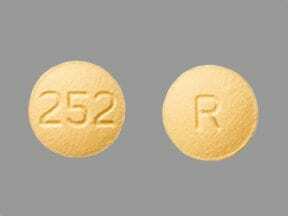 This medicine is a yellow, round, film-coated, tablet imprinted with "R" and "252". 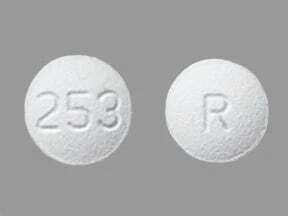 This medicine is a white, round, film-coated, tablet imprinted with "R" and "253". 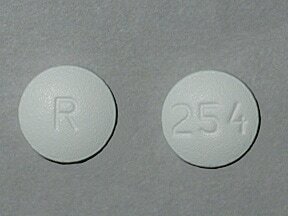 This medicine is a white, round, film-coated, tablet imprinted with "R" and "254". 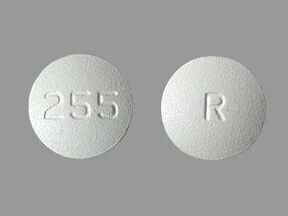 This medicine is a white, round, film-coated, tablet imprinted with "R" and "255". Are you considering switching to Carvedilol? How long have you been taking Carvedilol?